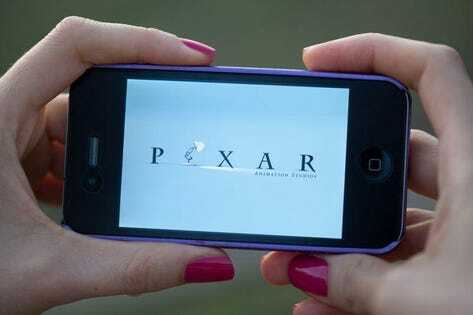 Here are three strategies from Disney-Pixar to help your creative team reach their potential. “Smash and Grab,” a new installment of Disney-Pixar’s experimental SparkShorts video series, features two robot co-workers seeking to escape the monotony of their unpleasant jobs. With the kind of brilliant animation that’s typical of Pixar, it manages to tell a story in just eight minutes that’s just as captivating and moving as the company’s acclaimed feature films. The robots in the film make a great team, but what’s truly amazing is the level of collaboration among the people who created them at Disney-Pixar. If you’re the leader of a creative team, you’ve probably wondered how to engender such repeatable creativity. Ed Catmull, a Pixar founder who became the president of Walt Disney Animation Studios after the two companies merged, has said he’s found the answer by asking a lot of questions. The ability to ask “catalytic questions” is a defining skill of Catmull and his colleagues, according to Hal Gregersen, executive director of the MIT Leadership Center. As Catmull himself says, directors at Pixar, when stumped by a particularly vexing problem, are encouraged to assemble a “brain trust” of peers to challenge their thinking. If you want your team to take the kind of creative risks that pay off, you need to make sure they’re generating the best possible ideas. Brainstorming sessions should be collaborative meetings where everybody offers feedback and explores ideas. When people are specifically tasked with finding “creative solutions” and “original ideas,” that pressure can generate competition, something that typically produces underwhelming creative results. To generate a better creative process for your team, include time for reflection. At the end of meetings, have team members provide objective assessments of the ideas on the table. This normalizes feedback and makes constructive criticism seem like an opportunity to improve the work rather than a personal attack. Try to give feedback by asking questions — following Catmull’s example — rather than delivering opinions. This will set the stage for a discussion that will help your team find solutions. When run poorly, meetings can drain the inspiration and originality from even the most creative employees. That’s one reason why Disney-Pixar only schedules meetings when absolutely necessary; the company is also very selective about who is required to attend. If you want people to value their work, show them you value their time. Don’t make them sit in unproductive meetings as their to-do lists pile up. When you do require someone’s attendance, make sure to encourage valuable contributions by asking for input on the agenda. Circulate the meeting objectives in advance, and engage team members in the conversation. When the meeting ends, everyone in attendance should be clear on next steps. 3. Equip your team for success. To get great work, be sure to give your creative team the tools to do the job well. Pixar has been continually improving its RenderMan technology for 25 years to make sure its team has the most cutting-edge animation technology available. You need great inputs to get great outputs. Time Inc. is another company that produces an enormous amount of content at a breakneck pace. Like many organizations, Time has used many different tools to manage creative workflows, collect feedback and collaborate on projects. Ultimately, Time’s creative leaders decided to sync workflows using Wipster, a tool that enables video producers and editors to create content, share feedback and finalize approvals on one platform. Being able to do everything securely in one place has improved communication and collaboration, enabling Time to publish three times as much content with the same budget. Many business leaders don’t know how to inspire the best work from their creative teams. However, if you adopt these three strategies, you’ll be amazed at just how productive — and creative — your team can be. Robert is the founder and CEO of Acceleration Partners. Join 100,000+ global leaders who follow his inspirational weekly Friday Forward at http://bit.ly/2V8j5RO or invite him to speak.